Spring is in full bloom here – with the cherry trees and the early magnolias. This is my FAVORITE time of the year. I simply love watching all the plants unfold and checking out my gardens to see the perennials peaking through. Its kind of like welcoming back old friends. With spring on the brain – I came up with a new digital stamp set – Spring Flowering Trees. I thought I would run through how I colored the flower in case anyone is curious. I used the same reference photograph that I used the sketch the stamp image. The flower is a brilliant, almost fluorescent magenta pink in real life (I actually toned it down some in my version). I’m writing this for someone new to Copic Markers. If you have more experience than me, you won’t need the detail (you probably don’t need the entire post LOL!). The first thing I would suggest for a new Copic user is to make a color cart of your markers on the paper you will be using for your images. The colors actually look slightly different on different papers. Don’t try to rely completely on the cap color or the numbering system. As for a paper to use – for years I’ve used Neenah Solar White or Baronial Cream. Recently I started using the X-Press It Blending Card and I really do like it. It is pricey though, so you need to weigh that into your choice. I used the X-Press card in this sample. Using my color chart, I chose a series of colors for the flower based on the photo (you don’t need a photo – just an idea of colors you want to use). I chose my darkest color (RV-29) and colored in my “darkest darks” of the images. In most of my stamp images, I try to indicate where the darker shades are by some stippling in the image. I chose the next color (RV-25) and colored the next darkest shades – layering slightly over the first. I chose the third color (RV-23) and layered over that. This image still looks choppy (not blended) and I want more darks – so I just go in with my darker shades again and add more. Then I blend over the whole thing with the RV 23 to smooth things out some. Then I go in with a little RV-10 and use it to take some color out where I want highlights. To me, this is one of the greatest things about Copics – the ability to remove color and add highlights just by blending over with a lighter shade – awesome! I simply repeat the process with greens and browns for the flower base and stem. If your Copic ink is bleeding outside your image lines, it might be that you are over saturating the paper and you need to let it dry slightly between blending steps. But also consider the paper you are using. Often, the bleeding is caused by paper that is too soft and allows the ink to roam all over. Also, if your blending is blotchy and it seems like you are pushing the ink around instead of having it blend, your paper might be coated. If you go outside the lines, you can try to fix it by pushing it back in with your colorless blender. Simply color with the blender from the outside towards the stamp line to push the ink. You might be more successful if you try this after the image has dried. Also, think about it before you try it with red shades. Often trying to fix red just makes things worse. Red is very highly pigmented and seems to travel all over when you try to fix it. Just my take on Copic coloring. There are tons of tutorials out there and many different styles. If you want more Copic info, you might want to check out the I Like Markers blog. Marianne works for Copic and has a ton of info on her blog (she taught my certification class (and many more since then!). Oh… and don’t forget to enter the Hybrid Project Challenge. You still have 2 more days to win 3 stamp sets of your choice. This entry was posted in Copic Marker tips, Digital Stamps, Tutorials and Quick Tips and tagged Copic Markers on April 12, 2011 by Cathy. 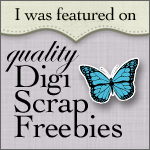 your digi stamps are beautiful, Cathrine!